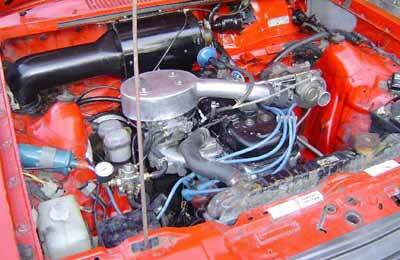 ENGINE: Isuzu G161 1600 OHC running a Mitsubishi TD025 turbo blowing through a webber 32/36 DGV carburettor on a modified Gemini manifold, Holly fuel pressure regulator modified for boost, high pressure pump out of a 13B turbo Mazda Luce, standard Legacy blow off valve, custom top mount headers and dump pipe, custom carburettor plenum. 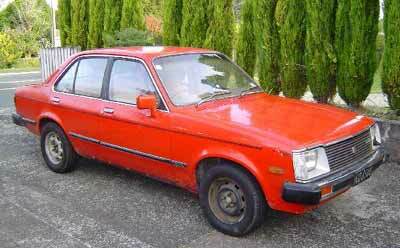 This car was bought as a parts car for $150 but it was only rusty nothing mechanical wrong with it. So I welded all the rust up now its my work hack cost me about $350 with rego. Got the turbo for free off a mate that's how it all began. Turbo setup runs so much smoother than I thought it would considering I tuned it myself. It gets 8psi at 3000rpm! that's all the boost it will ever see unless I upgrade the internals. 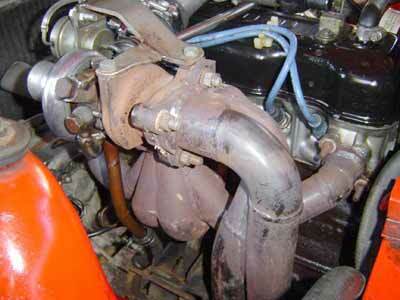 The wastegate is vented to atmosphere but not to sure how much I like that I will probably plumb it back in. This car really turns heads and gets a lot of laughs! As for plans turbo will be going on my other Gemini when its finely finished with intercooler and bigger compressor housing hopefully.